Home to many families of diverse economic and cultural backgrounds, Dufferin Grove is known as a very inclusive neighbourhood. The focal point of the neighbourhood is Dufferin Grove Park. Dufferin Grove Park with its potluck suppers, year-round farmers’ markets and communal outdoor oven, brings its residents together like no other neighbourhood in the city. Shopping options abound from the shops on Bloor Street , to the restaraunts on College Street, and to the box stores at Dufferin Mall. 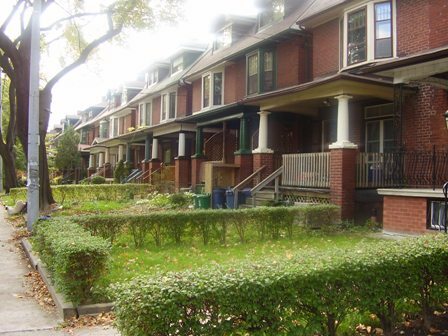 Most Dufferin Grove houses were built between 1890 and 1930. Boasting both detached and semi-detached homes, the neighbourhood has a healthy mix of both single family houses and those converted into apartments. Architecturally, the homes in Dufferin Grove range from early and late Victorian to Edwardian and English Cottage style designs. Rusholme Road is the most prestigious street in the neighbourhood with its large lots and grand Mansion style homes.